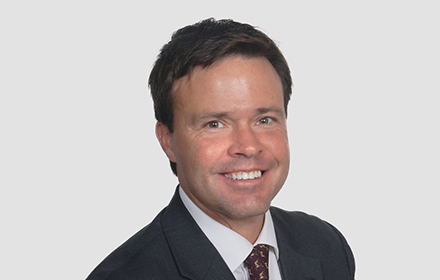 David M. Sawyer is a Principal in the Miami, Florida, office of Jackson Lewis P.C. His practice focuses on all aspects of counseling employers with respect to their employee benefit plans. Mr. Sawyer counsels clients in a broad range of employee benefits matters, including general compliance and administration of qualified retirement plans under ERISA and the Internal Revenue Code. Mr. Sawyer regularly advises clients on their fiduciary obligations under ERISA. He also works with clients to voluntarily correct their qualified retirement plans through the use of the IRS’ EPCRS, which allows employers to voluntarily correct defects in their plans. Mr. Sawyer also provides general compliance advice regarding the design and operation of employee welfare benefit plans such as cafeteria plans, health plans, flexible spending accounts, group insurance products, COBRA, and HIPAA. Mr. Sawyer has a particular focus on assisting employers with the various compliance requirements associated with the ACA, including responding to assessments imposed by the IRS under the "pay or play" rules. Mr. Sawyer’s practice further includes advice on non-qualified deferred compensation arrangements and other executive compensation matters, including issues related to compliance with Section 409A of the Internal Revenue Code. Mr. Sawyer counsels both public and private clients on tax law issues in relation to equity-based arrangements. Mr. Sawyer regularly assists clients in responding to and working with the IRS and the DOL in audits, investigations, and reviews initiated by those agencies. Mr. Sawyer negotiates with outside benefits providers, including prototype plan sponsors, third party administrators, insurers, actuaries and auditors and assists clients with benefits issues arising in corporate mergers and acquisitions. While attending law school, Mr. Sawyer was a contributor to The George Washington University International Law Review. Mr. Sawyer also ran cross-country and track for The George Washington University during his undergraduate years.